A sure fire sign of spring and Easter for me is seeing Peeps. Yep. When I see those gooey, marshmallowy, colorful birds chirping in the candy aisle, I know warm weather is coming! Let’s face it. They are really super cute, but they aren’t that tasty. Well food bloggers have fixed that with some creative recipes featuring Peeps (and their cousins – the bunnies). From Serious Eats: S’meeps! 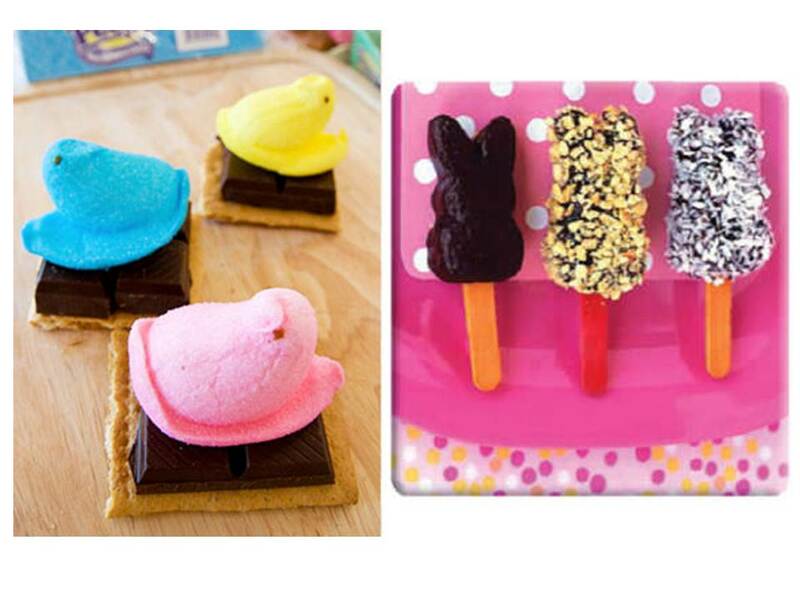 S’mores with using Peeps! I LOVE these chocolate dipped bunnies (or Peepcicles) from the MarshmallowPeeps Website. After dipping the bunny in chocolate, roll it in nuts, sprinkles or coconut. Another good one from Serious Eats – Peepshi. Peep Sushi! And for those who love fried food, let me introduce you to the Deep Fried Peep!